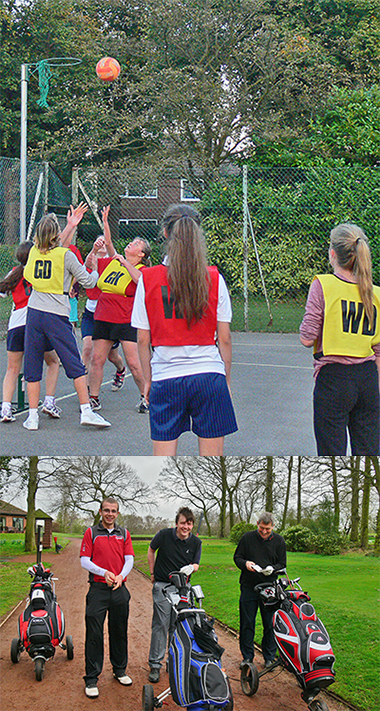 Briggensians play sport each year against the school and between themselves, keeping friendships alive and afterwards reliving past glories on and off the sports field. These fantastic occasions keep members in touch with the school, staff and with their former education. The schools have very long sporting traditions and achievements thanks to the commitment and enthusiasm shown by teaching staff and the willingness of students to learn the skills required to compete at a high level or just for fitness and fun. If you are interested in taking part in any one of these outings then just email the organisers, as found in the contacts list. The scheduled dates are in the diary (see above). The old traditional blazer and cap were a common sight worn by Brigg Grammar School pupils many years ago, but how many years ago? 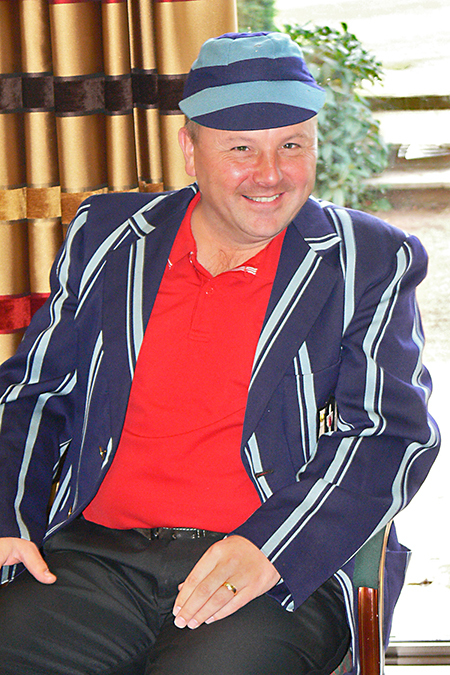 The ones modelled here by Jonty Allcock are those held in safe keeping by the golf section with one traditionally worn by the captain and the other worn by the winner in competition. I suspect that the cap is from an even earlier period than the blazer. Do any past members of the school or their relatives have in their archives photographs of family members proudly wearing their uniform? This could help us date these clothes. They have been on loan in the Brigg Heritage Centre along with many other pieces of memorabilia; currently there is a powerful exhibition there of local men many of whom gave their lives in WW1. I would urge those who have not seen the exhibition to try to get there before it comes down. A group of present school pupils led by teacher, David Waite, have spent countless hours researching the records to bring us real insight into the lives and demise of these brave Brigg souls. The first Headmaster of the Brigg School was a Reverend Nathaniel Taylor who must have been in post around 1670. Very little is known about him but an engraving of him instructing pupils dated 1684 is/was owned by Spalding Gentleman’s Society. He was thought to be educated at Trinity College Cambridge and is recorded as gaining a BA in 1671/2 and a MA in 1675. He managed to gain a living when he was appointed vicar of Hibaldstow in 1689 and we assume he left the school at that time. 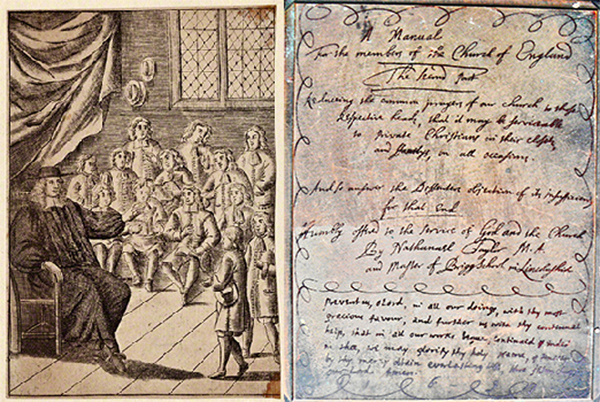 He is known to have written service and prayer sheets for the less well educated of Hibaldstow so that they could take a greater part in the services. A recently discovered printing plate carries a verse that he is presumed to have written and must have been produced locally almost 200 years later. The original plate is in reverse but is shown here as it would be if printed.